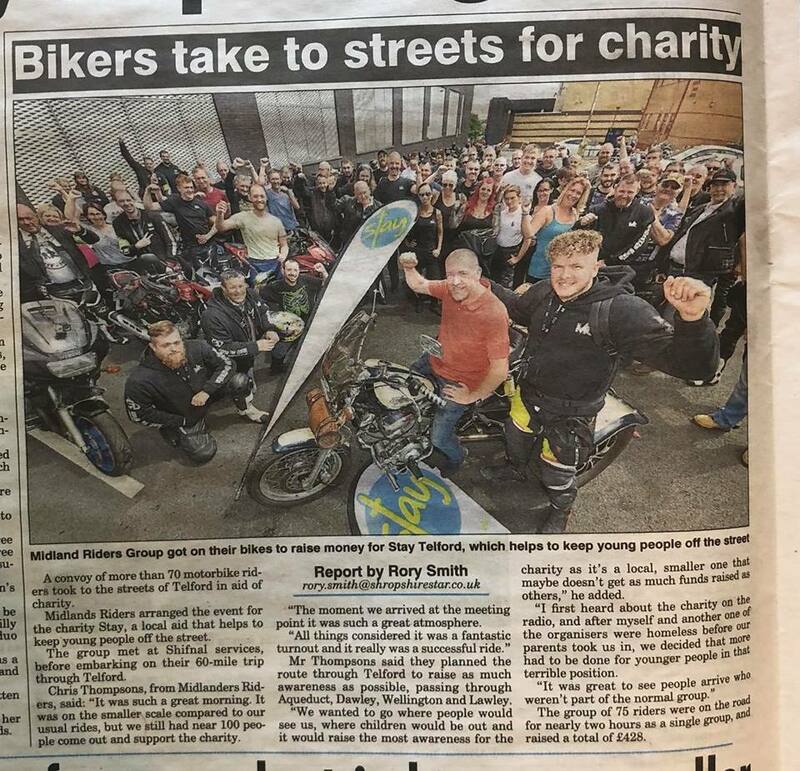 Midlancs Riders did a 60 mile charity ride in & around Telford 21.7.18 over 80+ Bikers & Trikes took over the town on a 60 mile ride to raise money and awareness of the charity STAY based in Telford a homeless young person charity. On the day Midlands Riders raised £428.23 for the charity and say they will be back again. Thank you to everyone at stay, marshalls for the route & radio stations & papers that help promote this.